The Blue Toon boss was not a happy man after his side failed to take chances that would have given them breathing space in a tight match. “I actually did not speak in the dressing room because I was that angry,” said McInally. “We have missed two absolute snips, which would have given us a bit of breathing space to maybe enjoy it or be able to get the ball down and play. “We ended up bringing pressure on ourselves, not in open play but by giving away free-kicks. “We had the situation near the end where Greg makes the save from the free-kick and how their player headered it over the bar from there is hard to know. 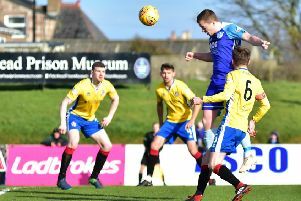 This Saturday Peterhead face a difficult trip to Broadwood to play third placed Clyde who are still hanging on in the title race. 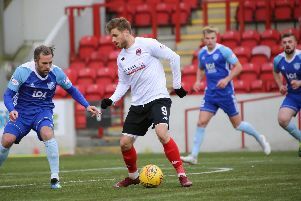 “It was the three top against the three bottom and every team has something to play for because Cowdenbeath coming into this game were not mathematically safe.